visit http://cartoonsbyjosh.com – and buy a mug or something. Of course it remains to be seen whether the IPCC will put figures on the relative natural and anthropogenic contributions to climate change in the final version of the summary for policy makers. Now that’s what I call confidence! 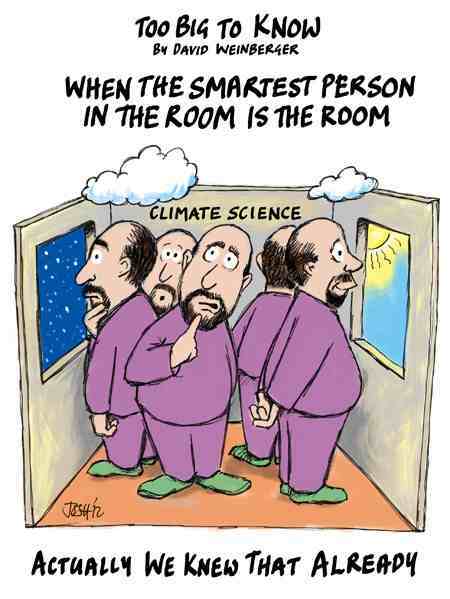 The IPCC have realised that the human element in the changing climate (if indeed if there is one) is of no consequence. If they truthfully admitted that though, they would have to immediately close up shop, go home, and look for real jobs. Governments need to stand up, challenge the IPCC to demonstrate that their presence is justifiable, and if (when) not, demand its complete and final closure. I believe that was the guest author you quoted. Also the quote “Climate change may be due to natural internal processes or external forcings, or to persistent anthropogenic changes in the composition of the atmosphere or in land use.” also appears in AR4. It’s nothing new. Seems pretty unequivocal. Maybe Pielke Sr’s guest author was quoting the above from AR4 too. Be careful Tallbloke, in your haste you might be missing something here that is much more interesting. S. Raghavan (at R. Pielke) quotes the IPCC quoting the FCCC definition of climate change. I haven’t looked in the recent Reports, but the wording ‘this definition differs from…’ should have raised your suspicions as to whether this was an IPCC definition. I dont know Raghavan’s precise source but this wording is very similary to the wording in the footnote on the first page of the WG1 Summary for Policymakers in SAR, where we find ‘This differs from the usage in the FCCC…’ Here it follows the definition used by IPCC WG 1, which uses a definition closer to the one quoted from the draft Fifth Assessment. This suggests that AR5 remains consistent with SAR in defining ‘climate change’ as including both natural and anthropogenic forcing. What is more interesting is how this distinction between the IPCC definition and the FCCC definition — the scientific definition and the political definition — was inserted on the front page of the SPM. This was a win by Australia in the WG1 Madrid Plenary. The distinction is also made on the first page of the Technical Summary (p13) and in the Glossary of the original SPM (now the glossary of the Technical Summary – see SAR p48). 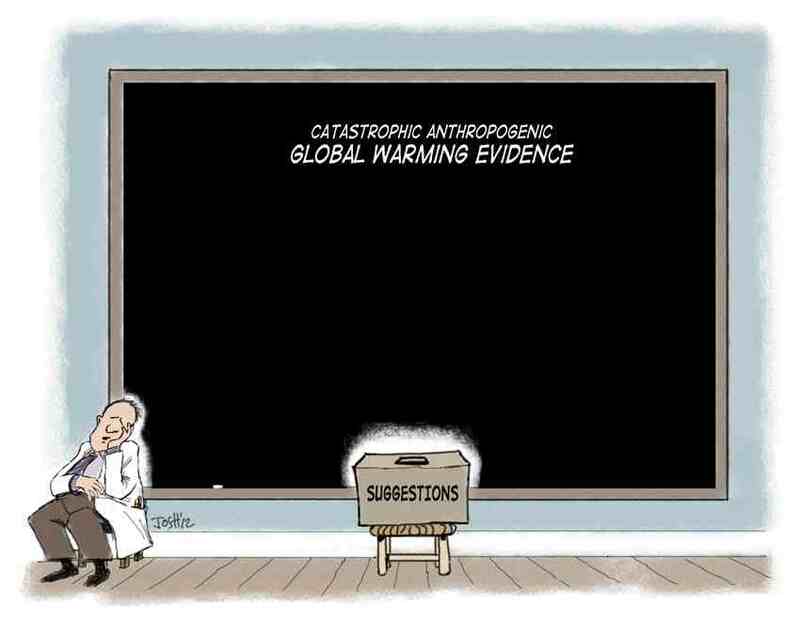 In the Glossary there is also the statement ‘It is generally not possible clearly to make attribution between [natural and anthropogenic] causes.’ ‘Not possible’ means ‘impossible’ yes? Is that 95% or 100% certainty? Anyway, this is suggesting that we should be sceptical of any claim to have positively attributed climate change to the human cause. And yet the SAR ended with just such a (however weak) claim. The USA comments tabled at Madrid ask for the removal of this sentence from the Glossary — it does not really belong in a definition! But it never happened. It seems they ran out of time pushing through the ‘human influence’ attribution claim, and history shows that it didnt matter that it stayed their because no one seemed to notice or care about these and other striking inconsistencies in the Report.